Q: How do I set the width of sub menu items to be the same width as the parent horizontal dhtml menu item? I can see how to set a px or % width, and when the at least one sub menu item exceeds the parent item the the entire menu stretches to that width (which is fine), but what about the instance where the sub menu items are not as wide as the parent item - in this case, the sub menu is not as wide as the parent item, which looks odd. Is there any way to force it to be (at least) the same width as the parent item? I hope this is all clear to you, if not, please give me a shout for clarification. A: You can set exact width for your top items using Individual Item Styles and set submenu width usingIndividual Submenu Style. Q: Can you provide an example of how to dynamically change the menu items at runtime for the dropdown menus? 2)Generate your menu items dynamically from database. Unfortunately we don't have working example with ASP. Write to Support; Feedback; FAQ; Visit our Forum .... 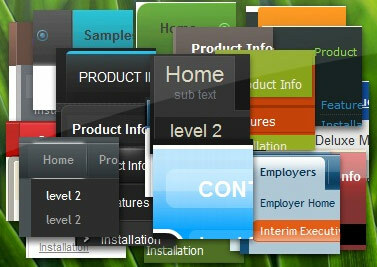 I'd like to use a html dropdown menu to sort a bunch of thumbnail images.."
Thousands of hi-quality icons and pre-made menu templates in Web 2.0, Vista, Mac , XP, Glossy, iPhone styles included. 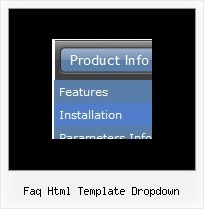 ... Write to Support; Feedback; FAQ; Visit our Forum ... "..hence the reason I bought your html drop down menu.."